We live in an era where information is at the tip of our fingers. We can figure out the best restaurants, closest movie theater, we can even hail a complete stranger to pick us up and take us wherever we want to go. In a time where we have so much available we’ve evolved into a group that believes in doing things themselves. How many Tasty videos do you see per day showing us quick, easy meals? How many Pinterest boards are smothered with DIY projects? How many Etsy stores have thrived off making things from scratch? This phenomenon has even grown to a much larger scale. Stores like Home Depot and Lowe’s host free classes teaching homeowners how fix and enhance their homes themselves. What has started this change? 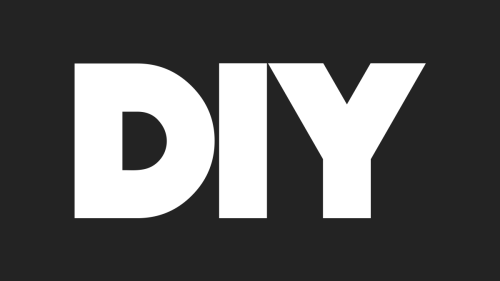 This DIY revolution has been a long time coming, especially after the recession. Millennials have especially adopted this mindset thanks to crippling student loan debt. Americans in today’s climate try to save money however they can, even if it means using a little elbow grease to do so. There’s a certain charm to it, harkening back to the “good old days” where our forefathers made everything from scratch. It’s a trend that won’t end anytime soon, even as the economy grows the current recession is still fresh in a lot of minds. The grip on wallets are stronger than ever and it may take a generation or two to loosen that grip. Posted in advertising, broke, buzzfeed, diy, do it yourself, elbow grease, Etsy, forefathers, Home Depot, lowes, marketing, Millennial, Millennials, money, old school, read, reading, recession, tasty, wednesday. Can I Pay With Experience? If you’re under 30 and been in the real world (or about to enter it) then you’ve noticed some disturbing things about the job market. I know when you graduate you’re full of hope and wonder. You’re excited about the journey that’s to come and you view life with a glass half full mentality. That’s a great thing, don’t ever lose that. I think this goes without saying but I’ll say it anyway. The job market is rough. Every opening requires 1,000 years of experience and martial arts training, (I’m exaggerating but jobs do ask for unrealistic qualifications). Employers expect candidates to come in and, with no formal training, execute at an efficient level. I could go on and on but there’s one aspect about the current job market that really ruffles my feathers. Like I said before, jobs in today’s market experience is the most valuable asset. The riddle of the century for current grads is how does one get experience when every jobs requires experience? It’s a question so simple, yet so complicated. Entry level jobs are all but obsolete, especially in the advertising industry. If I had a penny for every entry level job opening at an agency I’d only be able to buy one piece of penny candy. So how are grads supposed to start their career? The answer might be the two worse words in the job market. I’ve had many rants on Twitter about, in my opinion, unpaid internships are borderline criminal and need to be eliminated. Some people have compared it to slavey but I think that’s a bit of an exaggeration. I do believe that unpaid internships alienate a large group of people who don’t have the luxury of having someone else pick up their daily tabs while they work for nothing. Experience isn’t an acceptable form of payment……for anything. Bills still have to be paid and necessities still need to be taken care of. I can’t walk into a grocery store and pay with experience. That’s not how this works, that’s not how any of this works. 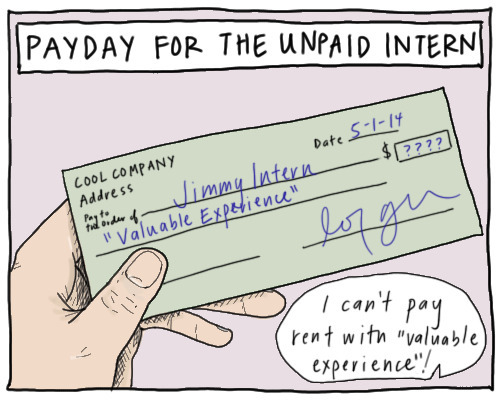 An unpaid internship is just a way for companies to get extra work done for no costs. I’ve always believed that if you can’t pay an intern then you don’t need an intern. Posted in advertising, advertising agency, boooo, career, careers, college, college grad, companies, company, criminal, entry level, experience, grad, graduate, hire me, Hiring, intern, internship, job, job market, jobs, market, marketing, Millennial, Millennials, problem, problems, unpaid, unpaid internship, wack.